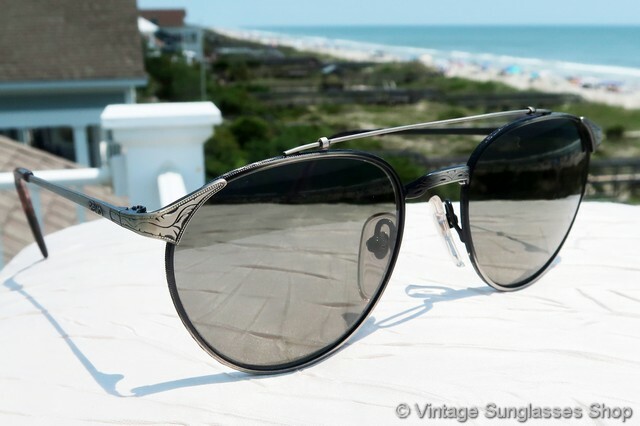 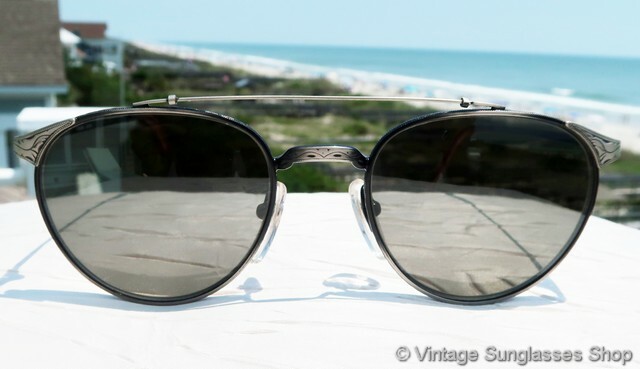 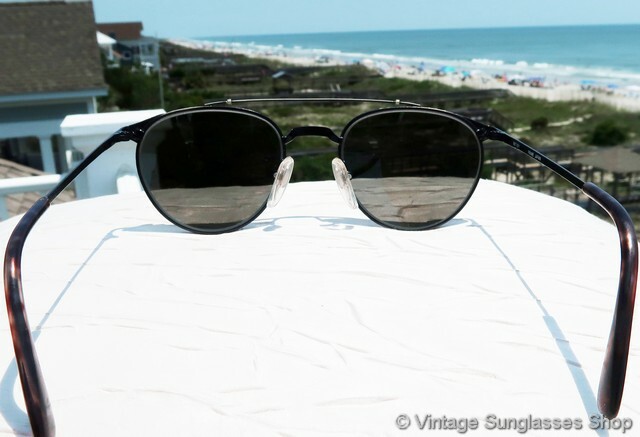 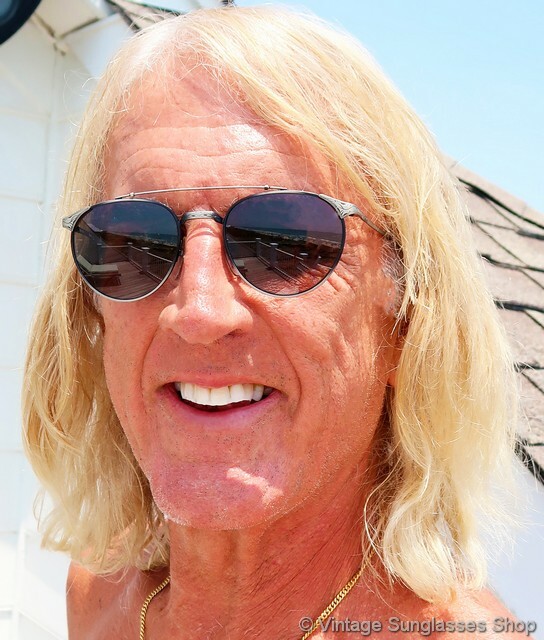 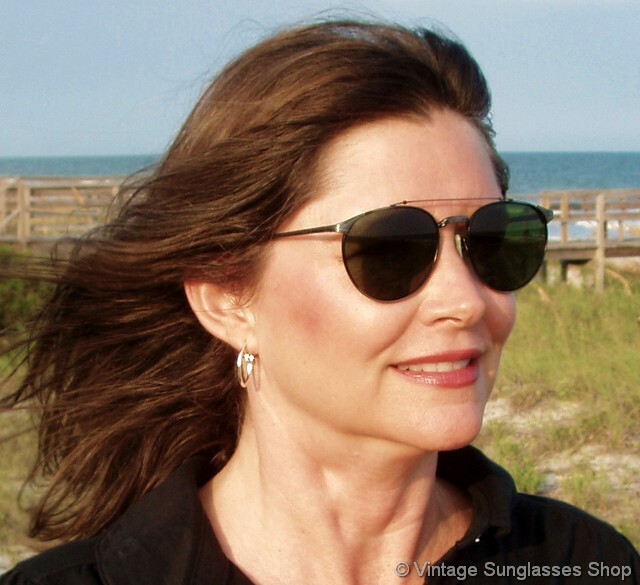 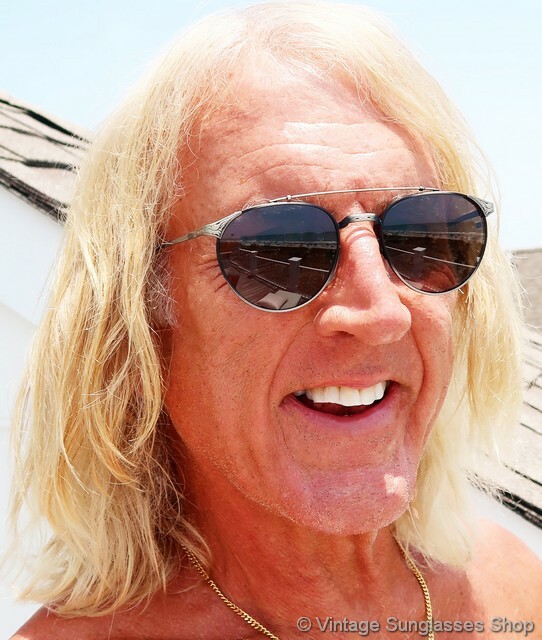 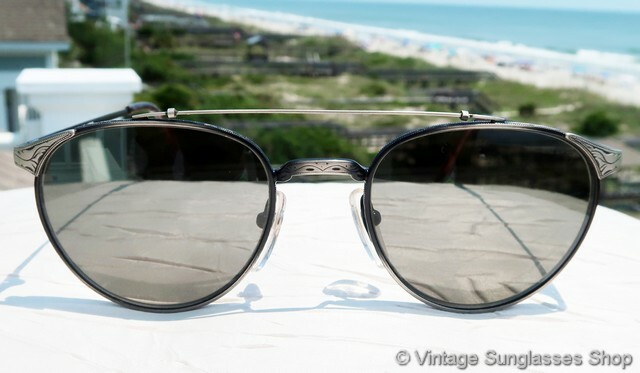 1 Vintage Revo 987 011 sunglasses from the Revo Traveler Collection c 1980s are Revo's elaborate take on vintage aviator sunglasses and clearly a smashing success. 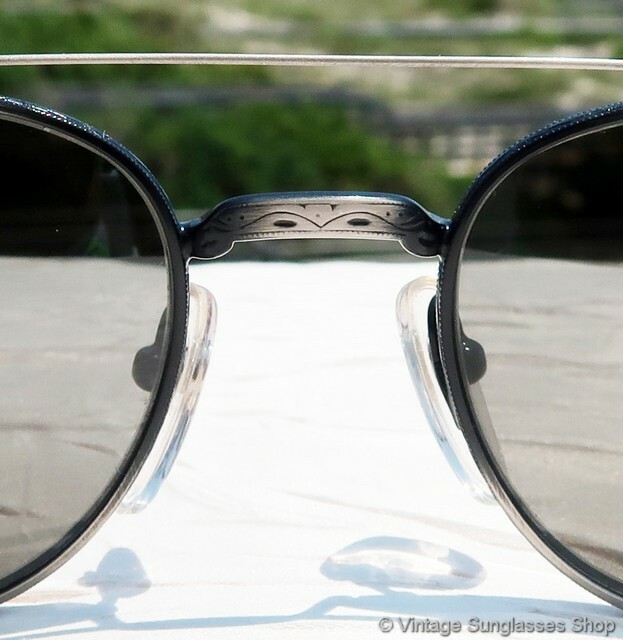 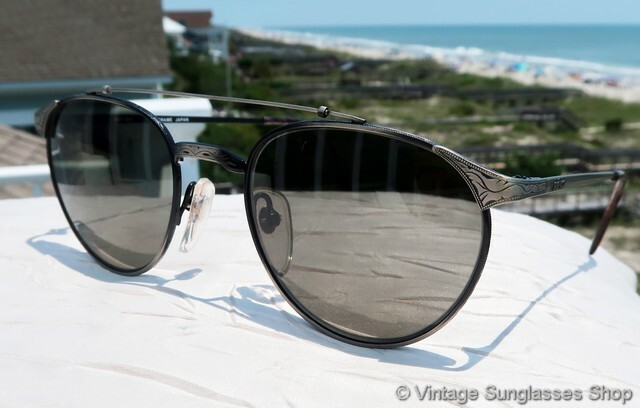 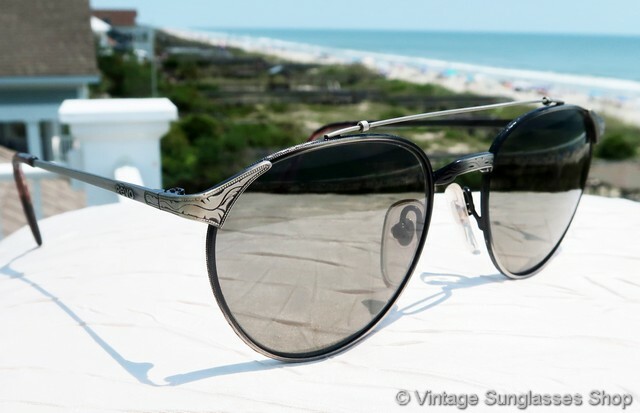 The 987 matte silver gunmetal frame is intricately etched at the temples and across the nose bridge, and they incorporate 2 nose bridge bars as is common in aviators but Revo designed their top bar to be extremely thin and arched upward much more than in Ray-Ban aviator sunglasses. 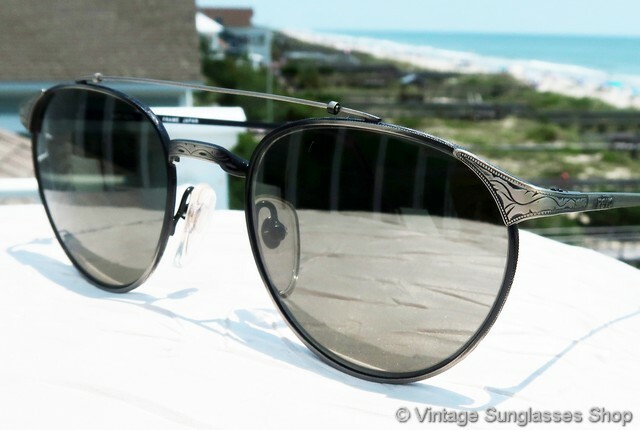 The brushed silver is really eye catching, drawing your eye in to then notice the elaborate etching in the metal. 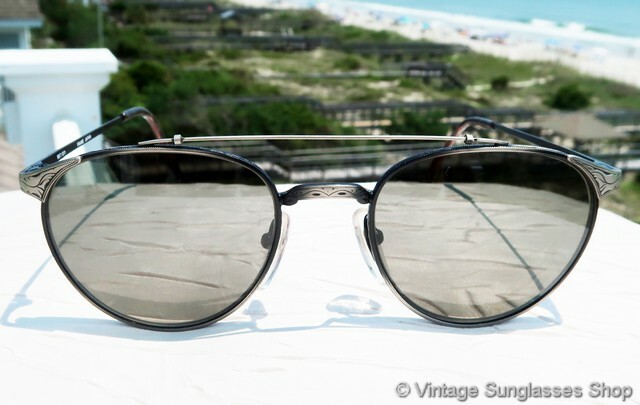 The unisex Revo 987 frame measures approximately 5.25" temple to temple, and the green Tri-Band lenses measure approximately 2.0" x 1.675" at the widest points. 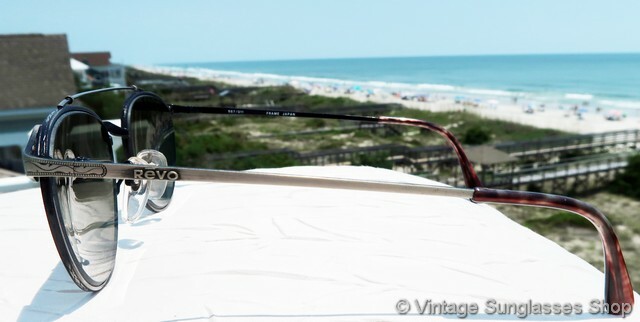 You'll find the Revo logo impressed on each ear stem near the hinge points integrated with the temple etching and the inside of the ear stem is marked CE 987 011 Frame Japan, part of a great collection of vintage Revos owned by a well known sports figure and customer of the Vintage Sunglasses Shop. 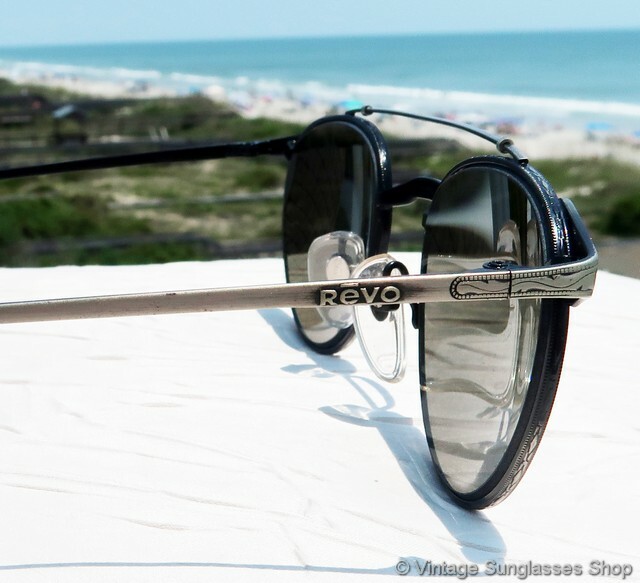 1A Step up another level beyond our already unequaled vintage condition standards with new old stock salesman's sample Revo 987 011 sunglasses in mint, unworn condition, from the collection of one of the first 30 Revo employees in the 1980s..